Interferon beta, the most widely prescribed medication used to treat multiple sclerosis (MS), has not shown any effect in delaying the disease’s progression, according to a new study. Researchers at the University of British Columbia collected information on 868 multiple sclerosis patients who had taken interferon beta and 1,788 patents who had not, from 1985 to 2008. Out of the group of patients who were not medicated with interferon beta, they were split into people who were able eligible for the drug but did not receive it (untreated) and people who fit the criteria for the drug, but it was not yet available when they needed it (historically untreated). Researchers discovered that those who took the drug were no less likely to have long-term disability than those who didn’t take the drug, when looking at a standard test to measure disability progression in MS.
“It dampens somewhat the enthusiasm for so-called first-line therapies,” Ludwig Kappos of University Hospital in Basel, Switzerland and author of an editorial that accompanied the study, said to Businessweek. The study was published on July 18 in The Journal of the American Medical Association. Researchers used a metric known as a Expanded Disability Status Scale (EDSS) to judge how far the disease had progressed in their participants. Those who scored a 6 – meaning they needed a cane to walk 330 feet or 100 meters – were considered to have a disease that progressed. Out of the subjects who took interferon beta, 10.8 percent scored a 6. Out of the subjects who were untreated, only 5.3 percent and 23.1 percent of the historically untreated group reached that same score. Previous studies have reportedly shown that interferon beta does help stall disease progression, but researchers said that the methodology was flawed through small sample sizes, poor follow-up or included patients who were too ill to start taking medication in the control group, according to TIME. Multiple sclerosis is a chronic autoimmune disease that attacks the central nervous system often leading to disability, according to the National MS Society. It uses the body’s own defense system to attack myelin, the fatty substance that protects the nerve fibers in the central nervous system. This causes the fibers to form scar tissue – known as sclerosis – disrupting the messages traveling from the brain and spinal chord to other parts of the body. The National MS Society adds that most people are diagnosed between 20 and 50, and while it is not considered a fatal disease, it can present many difficulties in the lives of those diagnosed. 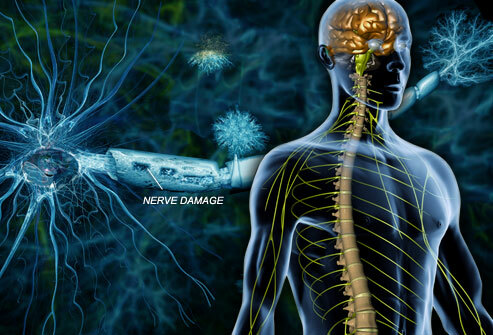 About 400,000 Americans have MS, and about 2.1 million people worldwide are affected. A person is diagnosed every hour. There are four types of MS. Interferon beta drugs are used to treat the relapsing-remitting form of the disease, which is the initial diagnosis for 85 percent of MS patients, the National MS Society reports. People with relapsing-remitting MS often have attacks – called relapses, flare-ups or exacerbations – that show worsening neurological function. This doesn’t mean that MS patients should stop taking interferon beta. It has been shown to benefit MS patients in other ways, senior author Helen Tremlett told the New York Times.